To commemorate your educational accomplishment, we are pleased to offer these custom handmade frames designed especially for Metropolitan Community College graduates. These elegant high quality frames include the University seal as a 24kt. gold plate medallion and the school name embossed in gold. The unique double mat design is customized to fit your diploma. Individually crafted from the finest imported hardwoods. Select from three beautiful finish choices sure to compliment any decor while displaying your diploma with pride and distinction. CHERRY: Classic rich cherry finish with a lustrous lacquer coating and gold accents. BLACK MARBLE: A contemporary high gloss lacquer finish with gold marbling and trim. MAHOGANY: A deep mahogany satin finish with elegant dark accents. In minutes you can mount your diploma with the simple step-by-step instructions; no tools needed. Convenient, professional results without a custom framing price. To help protect your diploma from discoloration, only 100% acid-free matting and backing are used. This same high standard is what the Library of Congress demands for preserving historical documents. 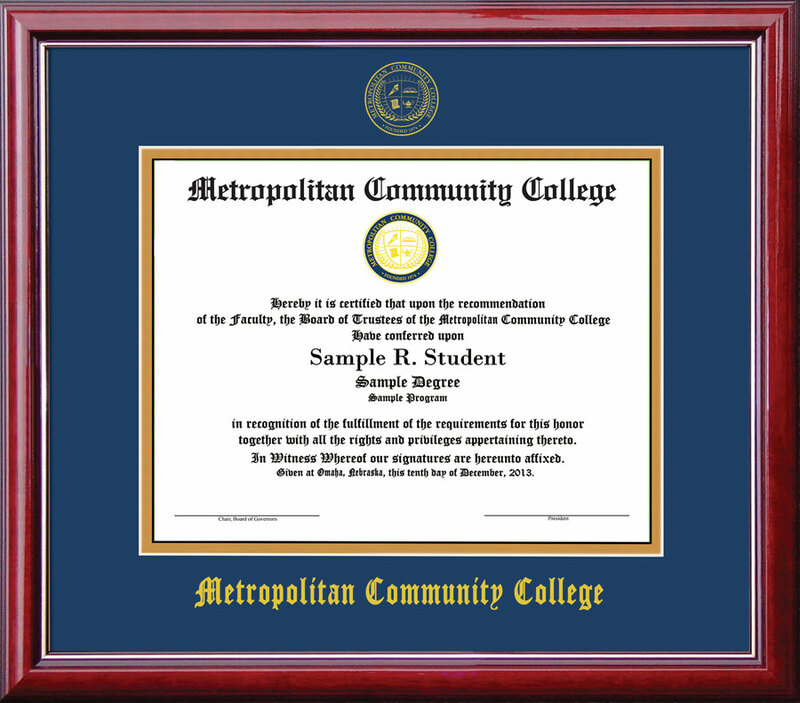 All Metropolitan Diplomas are a Standard 8.5" x 11"